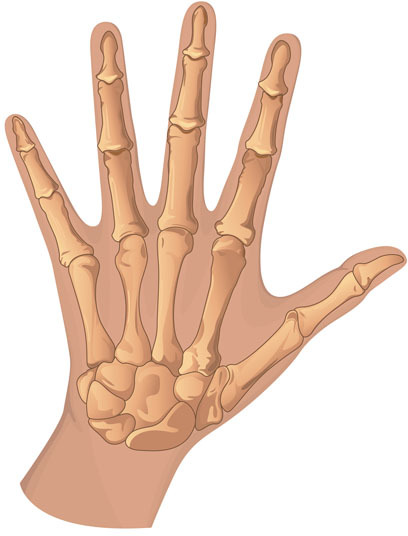 During wrist fusion, the bones in the wrist joint are permanently joined with screws. This locks the wrist in order to reduce pain. Wrist fusion is utilized in order to treat severe wrist pain, failed wrist replacement, chronic sepsis and wrist injuries, in addition to arthritis, rheumatoid arthritis and osteoarthritis of the wrist. Non-surgical alternatives to wrist fusion include strength training, bracing, physical therapy, anti-inflammatory steroid injections and pain medications. 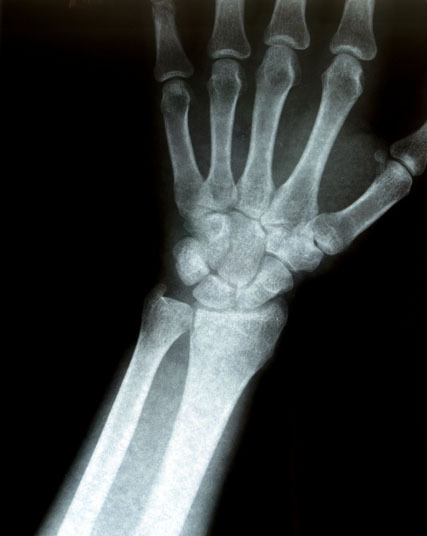 A wrist replacement may be performed as a surgical alternative. Wrist fusion is performed under general anesthesia, which means that the patient is asleep and completely unaware during the procedure. Possible risks following wrist fusion include infection, bleeding and a negative reaction to the anesthesia. It is also possible to experience reduced mobility and for the bones to fail to fuse together. The prognosis for a positive end result following wrist fusion is excellent. Joint pain is usually relieved. The total recovery time after wrist fusion is eight to 12 weeks.